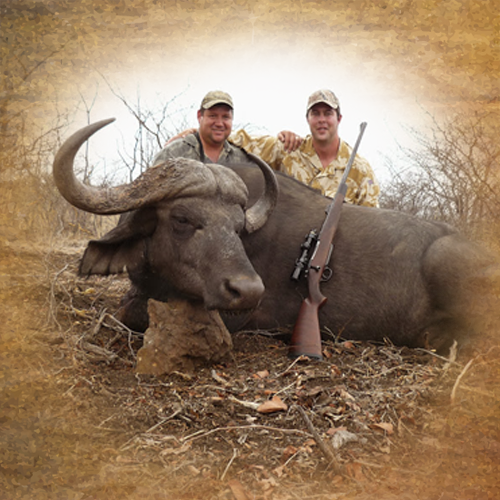 South Africa is one of the best buffalo hunting destinations in the world ! The menacing Cape Buffalo is one of Africa’s most dangerous animals to hunt. Why? They pack a massive force in their charge, their horn span is a menacing danger to those in its path and while they are considered to be docile when in their herd when injured that calm demeanour changes in an instant. The Buffalo is one of the Big Five, so tracking and hunting down one of these creatures is something of a rite of passage for those hunting in South Africa with Arc Safaris. Buffalo hunting is one of the most popular packages in Africa, and looking at these creatures it is easy to see why. “While an elephant never forgets, the Buffalo never forgives. Buffalo live in herds and are found throughout Southern Africa. During the harsh African daylight hours, when the heat is bearing down and even the most ardent hunter is seeking shade, you will find the Buffalo grazing gracefully in the thick bushveld partly covered in the cool shade of trees and bus, shielding them from view. Buffalo spend most of their days grazing although they also spend much of their time drinking their fill of water at nearby rivers and dams. Grazing on the plains, out in full view, gives hunters a clearer shot. The Buffalo is a handsome target. 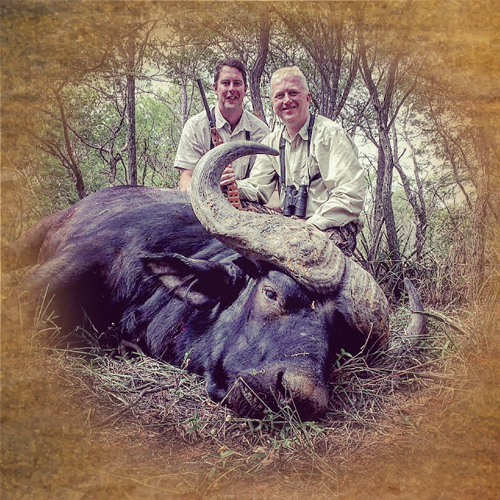 A massive pair of horns is the usual trophy sought after by hunters. Both the male and the female Buffalo have dangerous, stately horns and the males will usually develop what is known as a boss later on in life. Many hunters believe that these aged horns are so strong that they are able to withstand the shot of a hunting rifle, although this is a theory you should not be tempted to test least you cause damage. Although the Buffalo has largely distinguishable horns they can be difficult to spot when hunting. These animals are greyish black in colour, and if you are not accustomed to searching for them, you might just dismiss these mammoth animals as large boulders of rock. They can be camouflaged easier than you think by the bush around them, only movement might give them away. The Buffalo has very poor senses of sight and hearing but their sense of smell is superb, stand too close can give you away as can an abrupt breeze. Getting close to a herd of Buffalo will prove to be impossible but stalking a solitary animal will yield a clean shot and a nice trophy. Cape Buffalo hunting can be found on private game farms all throughout Southern Africa, and is usually done on foot. Experienced hunters and trackers will follow the fresh spoor of the animals. Solitary animals, such as the bachelors of the herds and the older bulls, are the easiest to hunt because as mentioned before hunting this animal in a herd can be exceptionally difficult. Taking down a Buffalo is no easy feat, these animals are fighters. When Buffalo hunting you must be prepared to let loose a number of well-placed shots before the animal goes down. Buffalo are incredibly cunning. Should you shoot one while it is in a herd, you can expect it to run for cover, before returning to where it has been shot only to lie in wait for the hunter. These animals are exceptionally dangerous to hunt due to this vindictive trait. 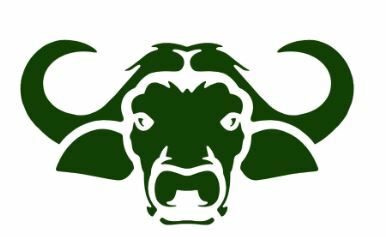 When you are Buffalo hunting, do not be fooled by the animal, their size does not slow them down and injuring them simply makes them angry. Every hunter has their preferred rifle, but when you are hunting Buffalo be sure to keep in mind that they have a tough hide. With the Buffalo you need to make sure that your weapon can deliver that kill shot effectively, giving the animal a quick death and no chance of being vindictive. It’s best to make certain that your aim is directly at an area where there will be minimal chance for the bullet to miss or ineffectually injure the animal, such as just behind an ear. 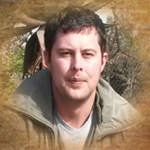 Hunting Buffalo, especially when you are going after one of those tough old guys known for their difficulty can be the ultimate hunting experience. But making the right decision on the company you are hunting with can make the difference in your hunting trip. There is a wide variety of African hunting safaris through our company. They differ based on prices, packages, and the big game offered. Research all the trips and make sure that you have explored all of the deals, you will find that we have affordable African hunting safaris ideal for those who are looking for a real experience. It’s about more than just placing a bullet for the trophy, there is a respect the hunter shows the hunted. The act of hunting is almost symbolic. Cost is one of the biggest considerations that you need to factor in when you are looking for an African hunting safari. Arc Africa offers affordable hunting packages with hunting in Botswana and South Africa being particularly popular amongst our guests. We also offer our guests the opportunity to experience hunting in Mozambique. It is not only the mighty Buffalo that you can face down. Our deals are created to give you the very best opportunity to immerse in the experience. Along with our big game hunting in Africa, we also have Nyala hunting and Kudu hunting. These bucks offer some of the most sought after trophies. Some of the other game you can hunt include Blesbuck, Baboon, Gemsbok, Giraffe, Springbok, and Zebra. The packages include a number of hunting days, giving you plenty of time to enjoy the experience and get the most out of time spent in beautiful Africa. Cape Buffalo are incredible creatures. Hunting a Buffalo is something you are likely to only do once in your lifetime, so make the most of it with a genuine African hunting safari, led by a team who are passionate about Africa. Contact us today or visit our packages page to book or plan your hunting trip.